Back when Kate was only a few months old (she turned ONE on Sunday, eek! ), I made all these reversible diaper covers. Looking back at that cuddly little summer babe made me want to make a few more diaper covers. I’ve been really into pairing them with a long sleeved onesie and tights underneath. Talk about cuteness! So, I made another pair for little miss, but I didn’t forget about you guys. I’m offering my reversible diaper cover pattern as a FREE download, and there’s a how-to video on my Telafante YouTube channel! This reversible diaper cover pattern comes in sizes 3 – 12 months. You can download the pattern here, and make sure to select “do not scale” when you print. Diaper covers are such a great project because you only need about 1/2 yard of each fabric and some elastic. They’re so fun to mix and match with different outfits! After you download your pattern, watch my how-to video for step by step instructions. Don’t forget to subscribe to the Telafante channel, so you don’t miss any new sewing videos! Written step by step instructions and a material list are all available on the free downloadable pattern. Thank you for the sweet pattern and video. I have a great niece due to arrive in April. These little diaper covers will be a lovely surprise! 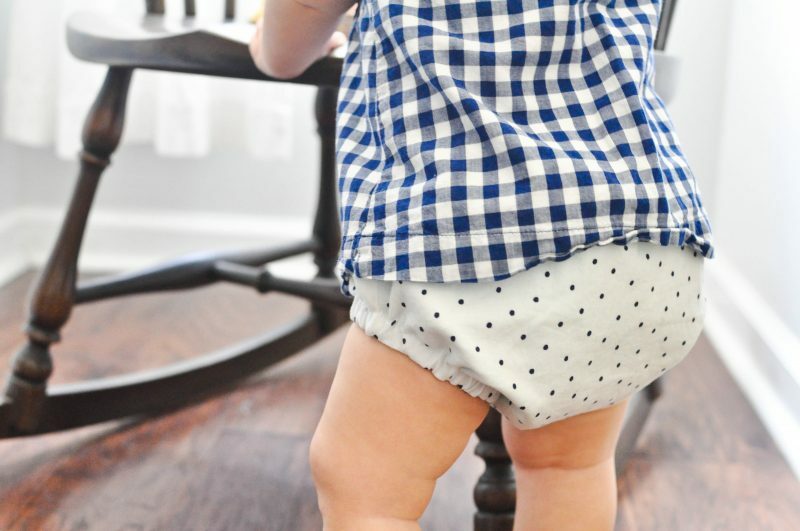 Cutest little bum cover, love the pattern! Thank you for telling me! It’s all fixed! Happy sewing! Thank you! I haven’t tried this yet but it seems easy enough. So happy you made a pattern, instructions and a video! I would not have been to figure it out otherwise. 🧐 Your little girl is the sweetest!